Designed to remove oxygen and trace amounts of moisture and heavy hydrocarbons from inert gas. 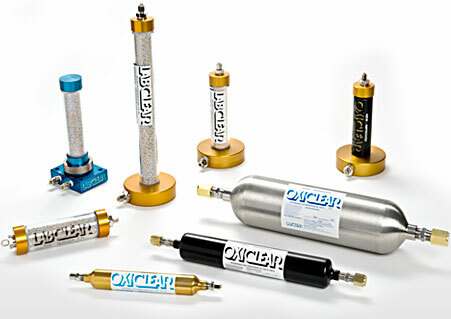 LabClearTM is a manufacturer of Oxygen Traps, Moisture Traps, Hydrocarbon Traps and Specialty Gas Filters. Our LabClearTM filters and OxiClearTM purifiers are trusted names in gas filtration and purification applications. We provide specialty-gas users with superior products to filter out moisture, hydrocarbons and oxygen. These filters and purifiers produce ultra-pure gas for chromatography, crystal and chip manufacturing, robotics and carbon nanotube manufacturing, where the gas must be clean and moisture free. With a wide range of sizes and configurations available, let LabClearTM provide you with the filters and purifiers to meet your requirements. LabClear™, A Division of Diamond Tool & Die, Inc.
© 2015 LabClear, Inc. All rights reserved. Site Designed and hosted by Design-2-Part Web Design.